This is the first complete story of Black Mountain College, perhaps the most important community of artists and intellectuals in American history. During its twenty-three-year existence (1933-1956) in the foothills of North Carolina, this experimental community attracted such well-known figures as John Cage, Merce Cunningham, Buckminster Fuller, Charles Olson, Josef Albers, Paul Goodman, and Robert Rauschenberg – people whose profound impact on American culture is still being felt. Black Mountain was more than a nurturing ground for some of the major talents of our time. It was also a forerunner of the innovative educational and social communities of more recent times – including the experimental communes of the counter culture. As such, Black Mountain may well prove to be a crucial turning point in American history. I literally read this book to pieces (it was already on the verge of falling apart). 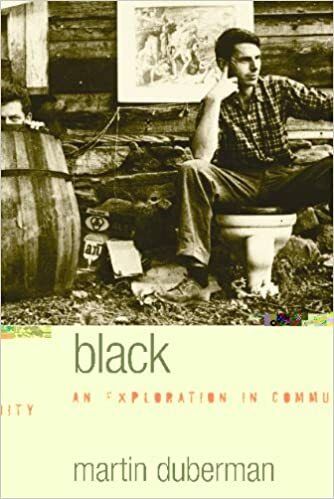 Since the 1970’s I have been hearing about Black Mountain- in (at least) 3 very different circles (Academia, Art and Intentional Communities)-usually with a note of awe in the speaker’s voice. Martin Duberman wrote this early in his career-which is why I give it 4 stars rather than 5- he was still “getting started”-that, and the physical condition of the book was wretched. Hopefully alt.lib will get a new (hardbacked?) copy soon.